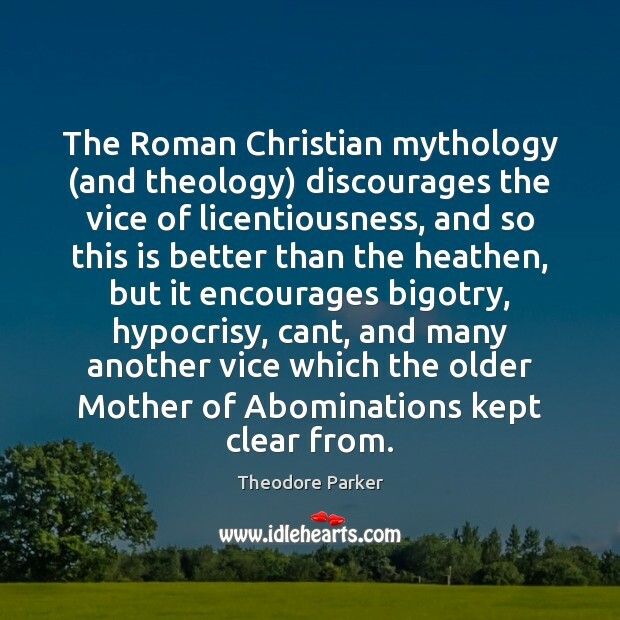 Quotations about Abomination. Quotes to stimulate mind and drive action! Use the words and quote images to feed your brain inspiring things daily! 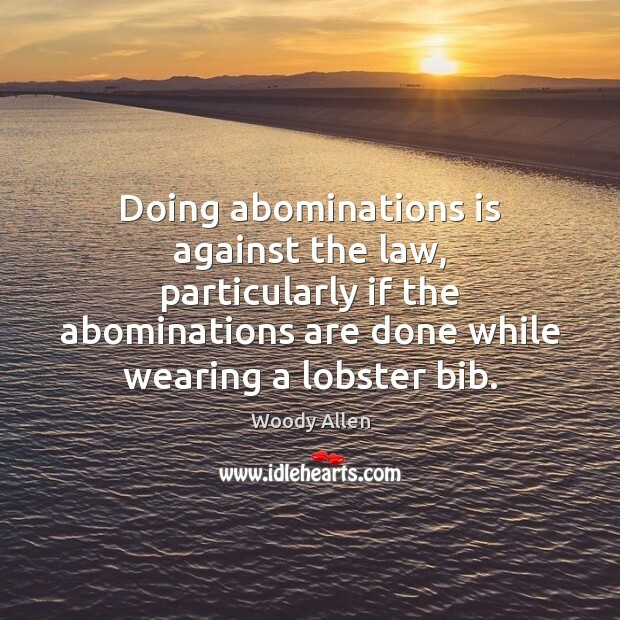 People write to me all the time to tell me that "homosexuality is an abomination." 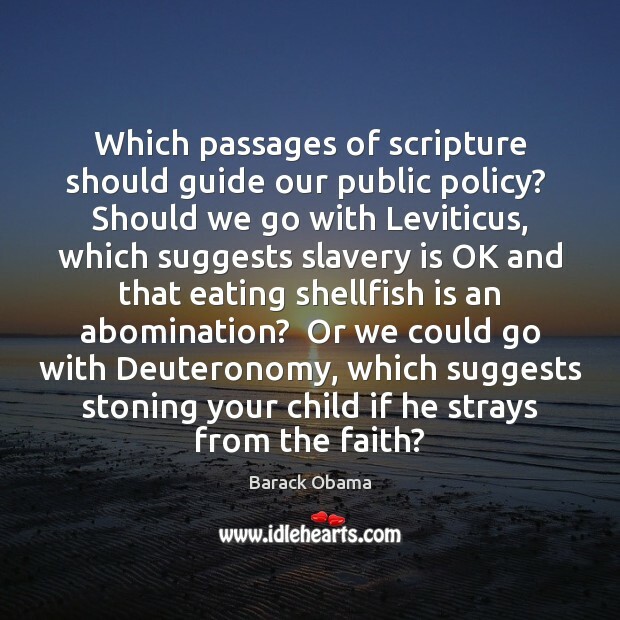 They base this on a quote in Leviticus. 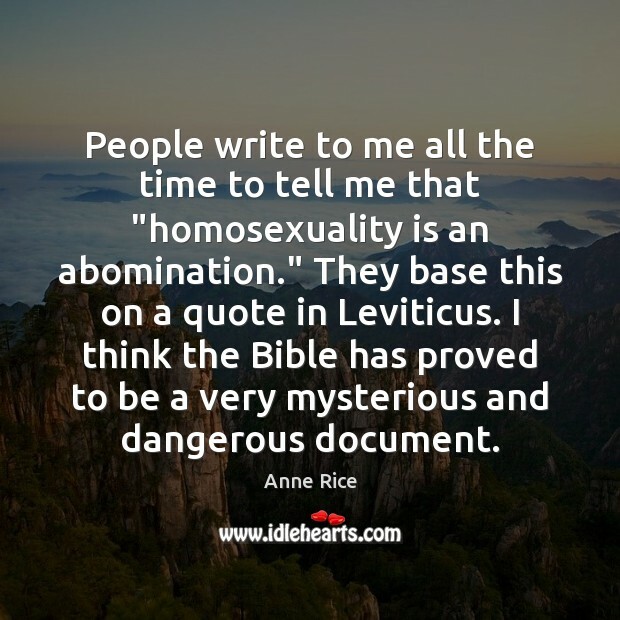 I think the Bible has proved to be a very mysterious and dangerous document. 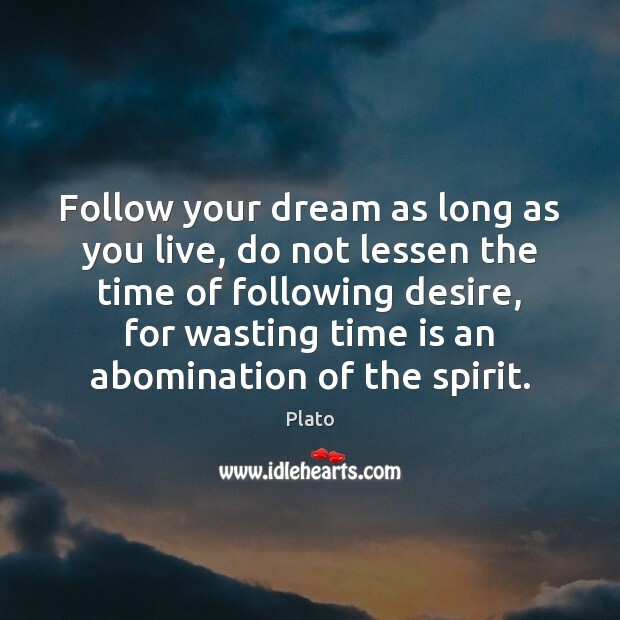 Follow your dream as long as you live, do not lessen the time of following desire, for wasting time is an abomination of the spirit. 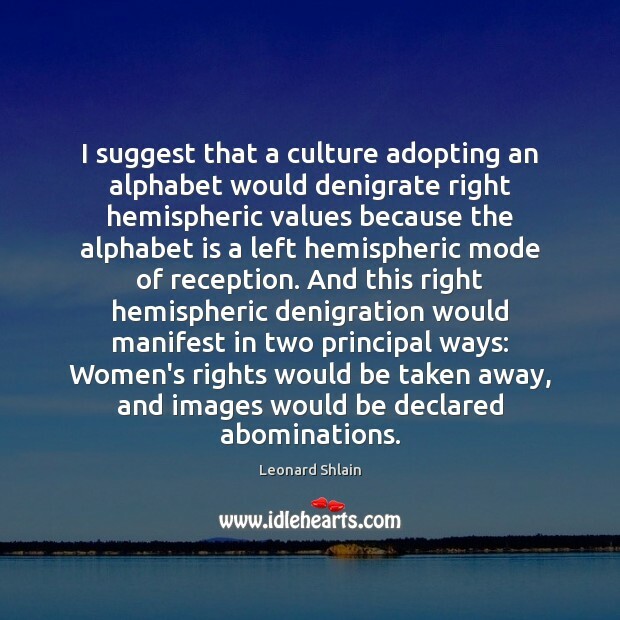 I suggest that a culture adopting an alphabet would denigrate right hemispheric values because the alphabet is a left hemispheric mode of reception. And this right hemispheric denigration would manifest in two principal ways: Women's rights would be taken away, and images would be declared abominations. 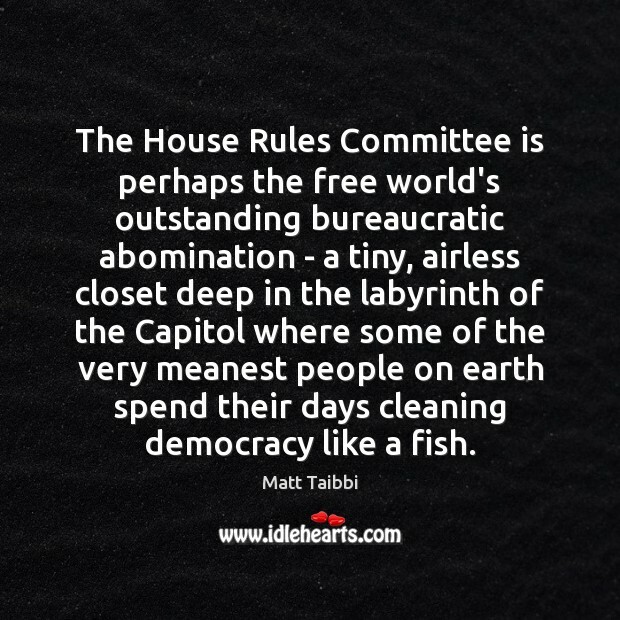 The House Rules Committee is perhaps the free world's outstanding bureaucratic abomination - a tiny, airless closet deep in the labyrinth of the Capitol where some of the very meanest people on earth spend their days cleaning democracy like a fish. 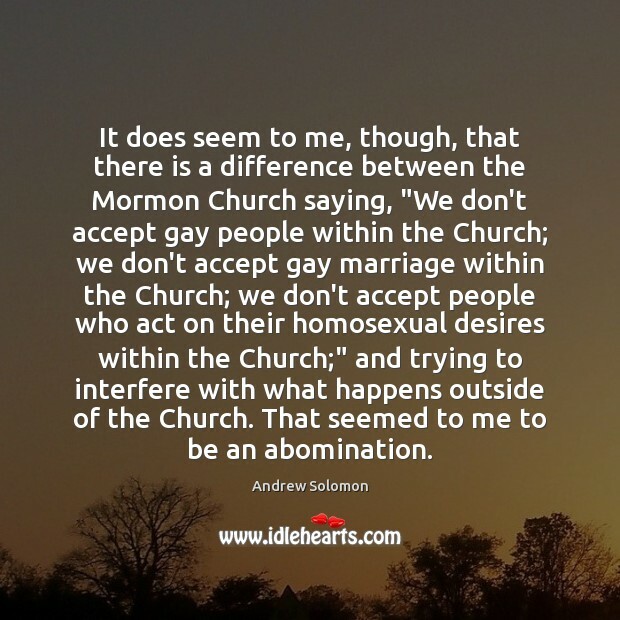 It does seem to me, though, that there is a difference between the Mormon Church saying, "We don't accept gay people within the Church; we don't accept gay marriage within the Church; we don't accept people who act on their homosexual desires within the Church;" and trying to interfere with what happens outside of the Church. That seemed to me to be an abomination. 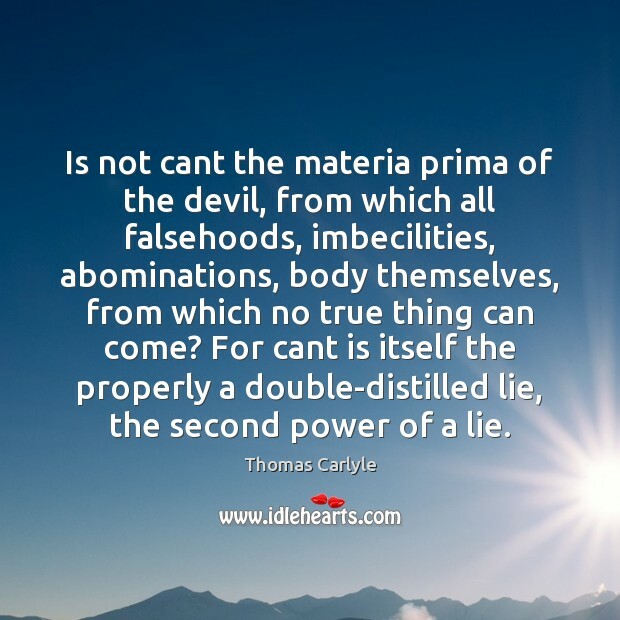 Is not cant the materia prima of the devil, from which all falsehoods, imbecilities, abominations, body themselves, from which no true thing can come? For cant is itself the properly a double-distilled lie, the second power of a lie. 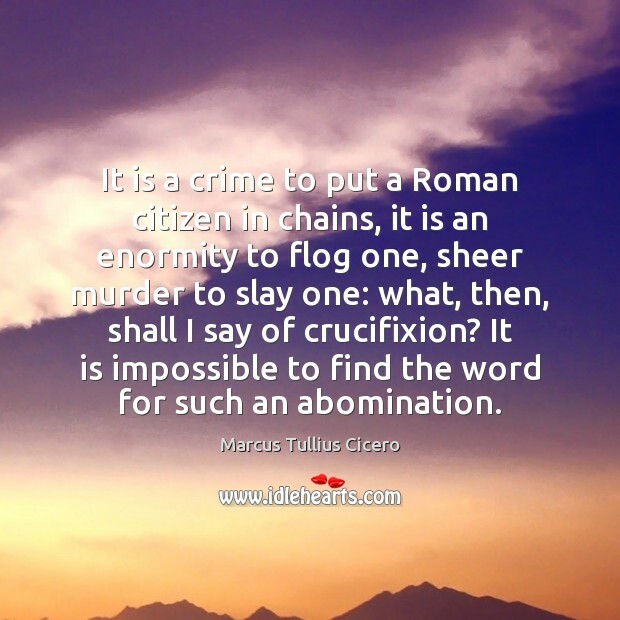 It is a crime to put a Roman citizen in chains, it is an enormity to flog one, sheer murder to slay one: what, then, shall I say of crucifixion? 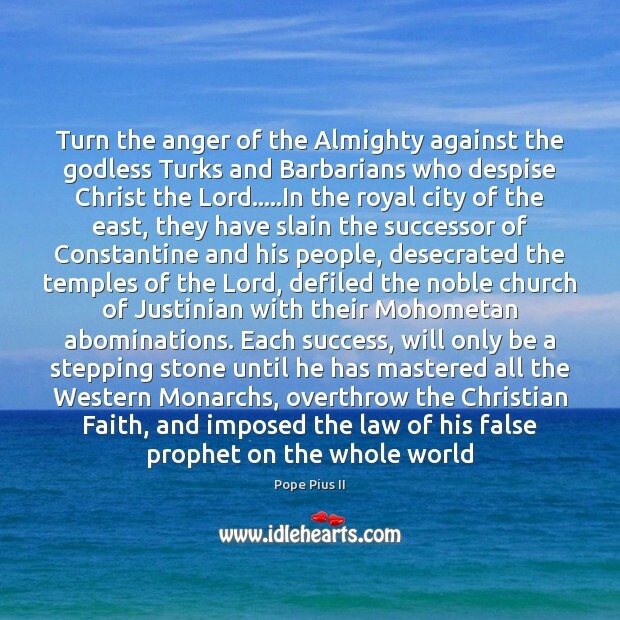 It is impossible to find the word for such an abomination. 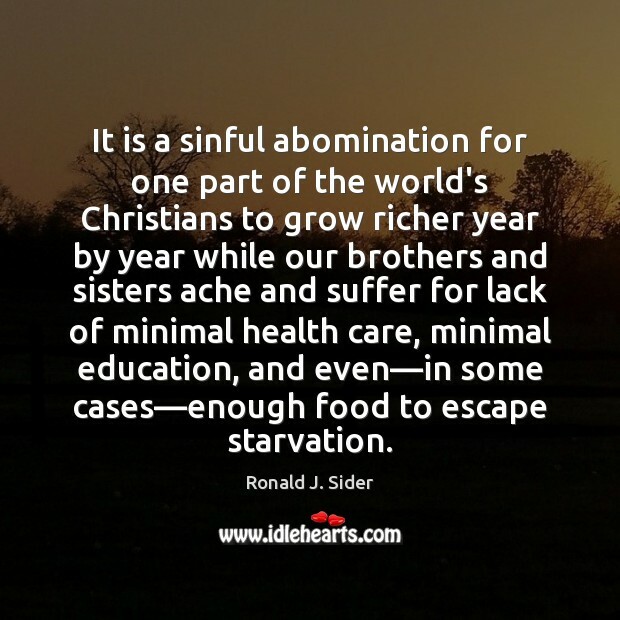 It is a sinful abomination for one part of the world's Christians to grow richer year by year while our brothers and sisters ache and suffer for lack of minimal health care, minimal education, and even—in some cases—enough food to escape starvation. 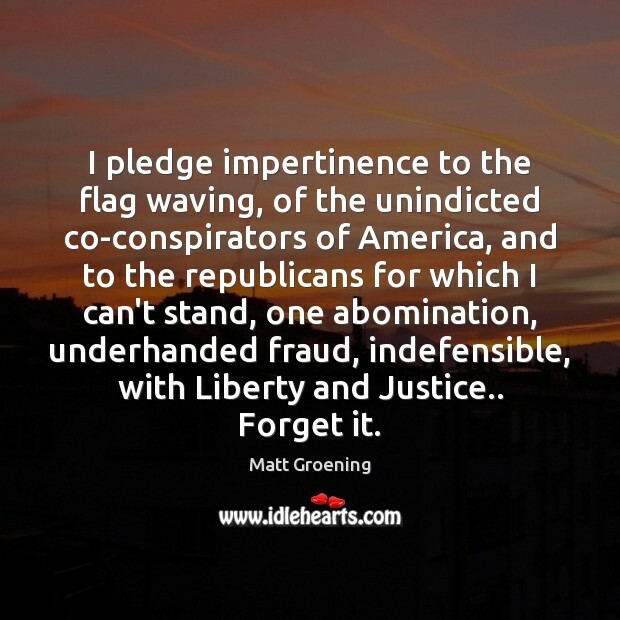 I pledge impertinence to the flag waving, of the unindicted co-conspirators of America, and to the republicans for which I can't stand, one abomination, underhanded fraud, indefensible, with Liberty and Justice.. Forget it. 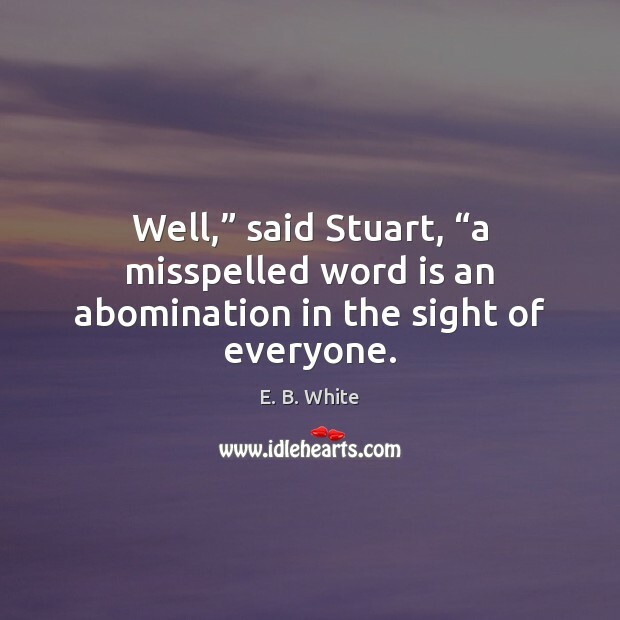 Well,” said Stuart, “a misspelled word is an abomination in the sight of everyone. 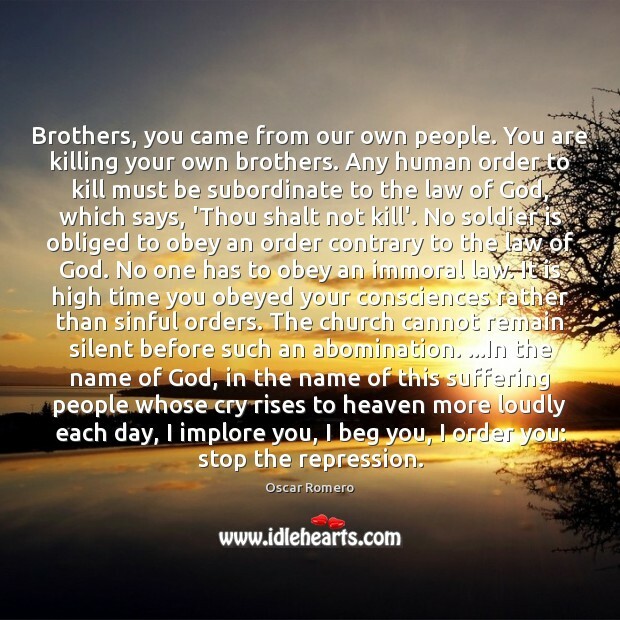 I'm not blessed, or merciful. I'm just me. I've got a job to do, and I do it. Listen: even as we're talking, I'm there for old and young, innocent and guilty, those who die together and those who die alone. I'm in cars and boats and planes; in hospitals and forests and abbatoirs. 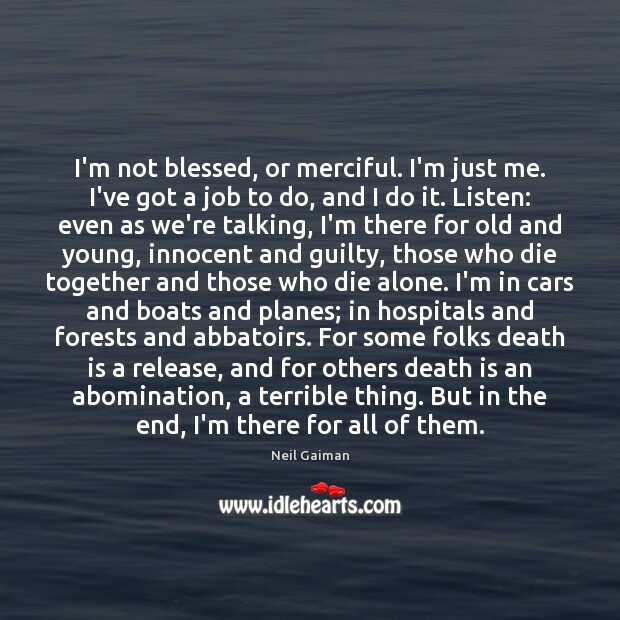 For some folks death is a release, and for others death is an abomination, a terrible thing. But in the end, I'm there for all of them. 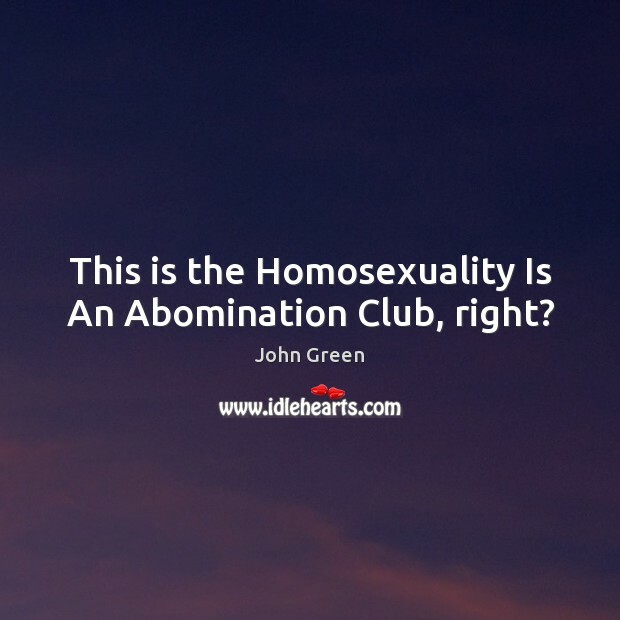 This is the Homosexuality Is An Abomination Club, right?